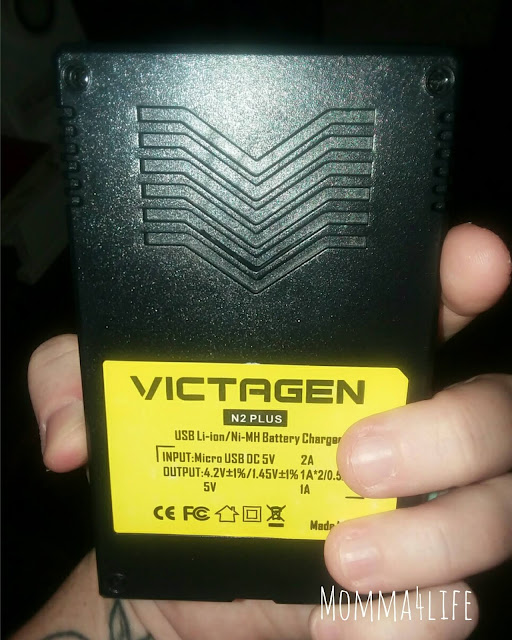 Today I am telling you about this Victagen 18650 battery and charger this battery charger is good for Li-ion 26650, 18650, IMR, LifeP04, Ni-MH, Ni-Cd 22650,18490,18350,17670, 17500, 1634014500, 10440 AA AAA C this is a great battery charger that is capable of charging two batteries simultaneously. This battery charger also has a built-in LCD panel where you can see clearly the parameters and charging process. One feature I really like is that it features a monitoring system that prevents overheating so if it is on the verge of overheating it will let you know. 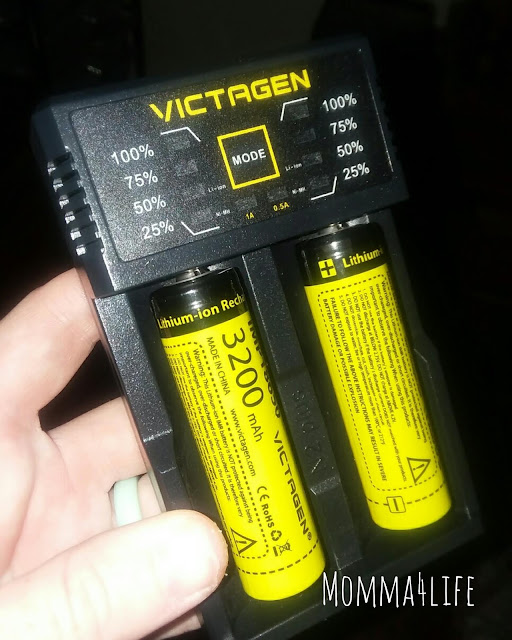 This pack comes with one battery charger, One USB cable, user manual, and two rechargeable batteries size 18650. 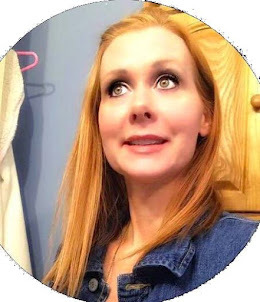 This charger is small but really powerful and is also really nice because it can be connected to an external USB device. It can also can be used as a portable power bank. What I like about this battery charger that is different from others is that it's very versatile and you can use different size batteries in the charger. 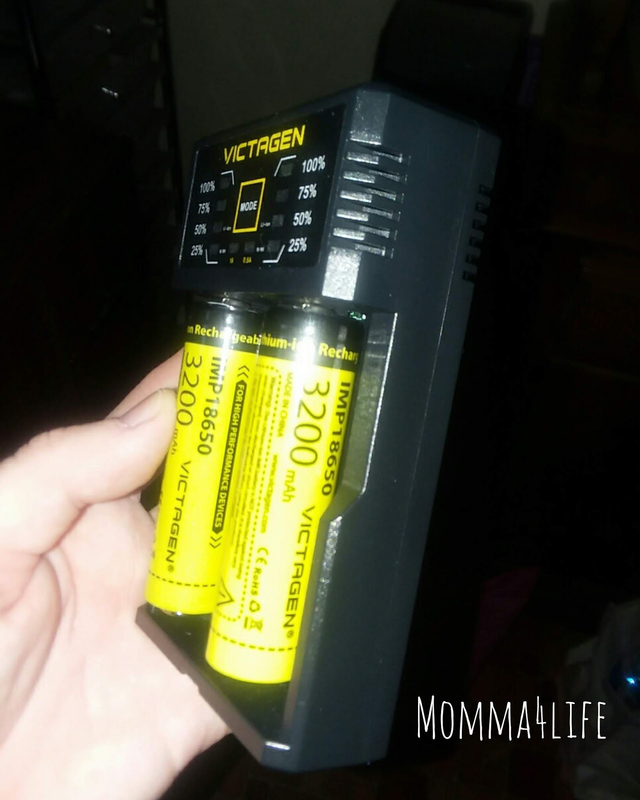 Yes I've seen chargers in the past that have charged AA and AAA batteries but nothing like this charger that is great for any size battery listed. And to top it off to use this as a portable power bank is pretty amazing as well.